In this paper, two new coupled models have been developed, both of which show substantial improvements in the model simulation compared with the MPI-ESM model that is widely used in weather forecast and atmospheric research. 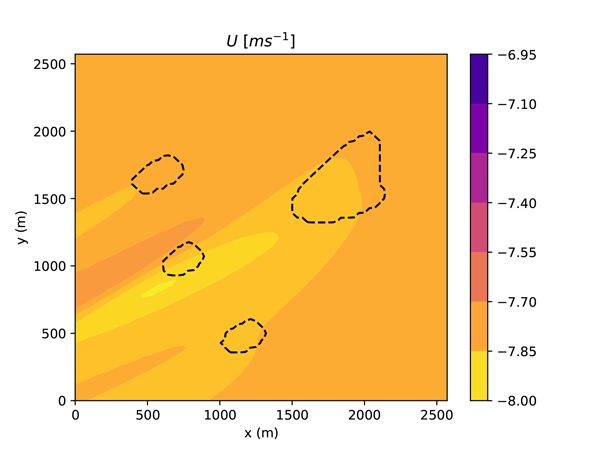 Inter-model comparison suggests that cumulus convection and latent heat of evaporation over the sea surface are the two major factors that shape the model error of sea surface temperature. It implies a new vision of bias origin for coupled model development practices. The General Lake Model (GLM) has been developed to undertake simulation of a diverse range of wetlands, lakes, and reservoirs. 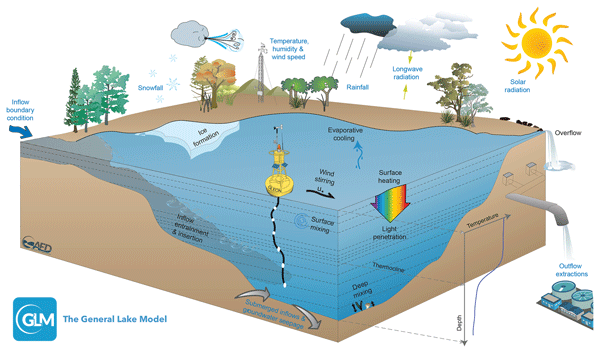 The model supports the science needs of the Global Lake Ecological Observatory Network (GLEON), a network of lake sensors and researchers attempting to understand lake functioning and address questions about how lakes around the world vary in response to climate and land use change. The paper describes the science basis and application of the model. A new coupled ocean–atmosphere model is developed to study air–sea feedbacks in the Red Sea region. The new model is based on the state-of-the-art open-source ocean/atmosphere models and coupling tools. To test the coupled model, we studied the heat wave events in Red Sea region and showed the improvement of the coupled model over uncoupled models. In addition, the CPU time spent on the coupling is less than 10 % of the total CPU time, showing the coupled model is computationally efficient. The paper provides a theory and assumptions behind an Advance of Frequency Analysis (AFA) approach in a long term hydrological forecasting. In this paper, a new core of the probabilistic hydrological model Markov Chain System (MARCS) was introduced together with the code and example of a long term runoff forecasting on a catchment scale. The low computational cost of a hydrological forecast (in form of probability density function) is among features of the MARCS model. Cohesive sediment (mud) is ubiquitous in the world's coastal regions, but its behavior is complicated and often oversimplified by computer models. 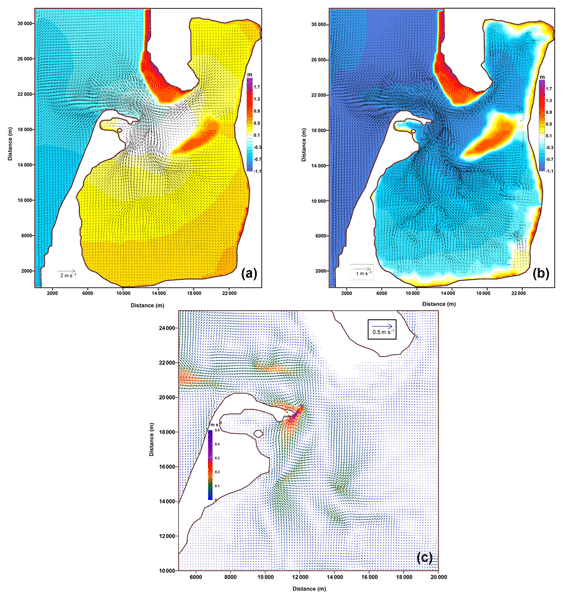 This paper describes extensions to a widely used open-source coastal ocean model that allow users to simulate important components of cohesive sediment transport. We present a description of a coastal ocean circulation model designed to work on variable-resolution meshes made of triangular and quadrilateral cells. This hybrid mesh functionality allows for higher numerical performance and less dissipative solutions. Natural archives such as sediments, ice, tree rings or speleothems provide indirect observations of past climate at local and regional scales. 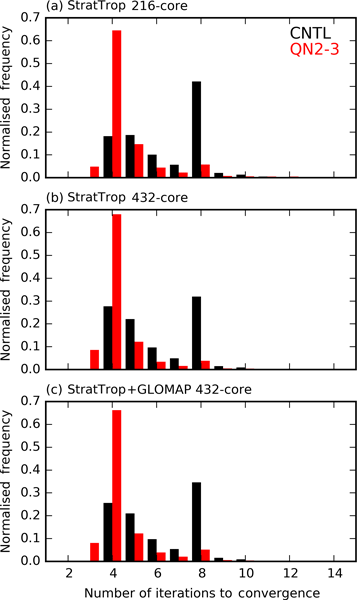 In this paper, we provide a computational device to combine those paleo-climate observations in order to make reconstructions of global climate indices. We then identify the different parameters associated to the methodological setup that can affect the final reconstruction. Hence, we provide different techniques to overcome those limitations. 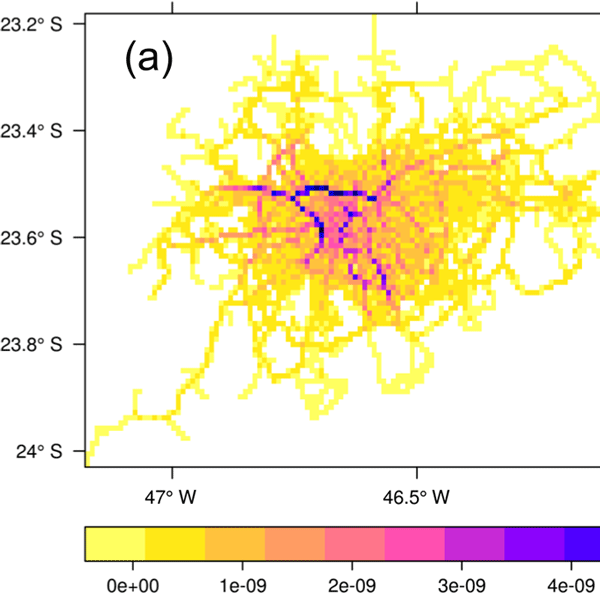 This article proposes a methodological framework for the model evaluation of high-resolution urban climate simulations and demonstrates its effectiveness with a case study in the fast-urbanizing city of Shenzhen, China. 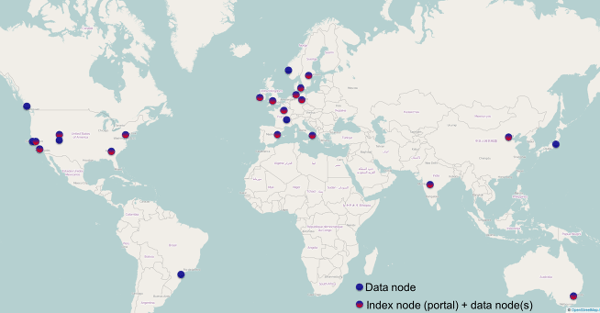 It is intended to remind (again) urban climate modelers of the necessity of conducting systematic model evaluations in urban-scale climatology modelling and reduce these ambiguous or arbitrary modelling practices. We present recommendations for the global data infrastructure needed to support CMIP scientific design and its future growth and evolution. We follow a dataset-centric design less prone to systemic failure. Scientific publication in the digital age is evolving to make data a primary scientific output, alongside articles. We design toward that future scientific data ecosystem, informed by the need for reproducibility, data provenance, future data technologies, and measures of costs and benefits. 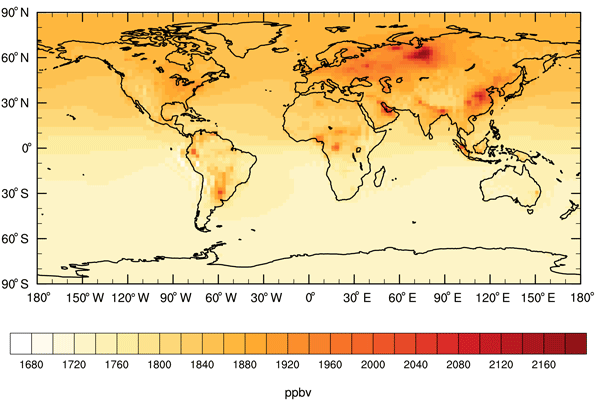 Accurate shortwave radiance computations are becoming increasingly important for some applications in atmospheric composition. 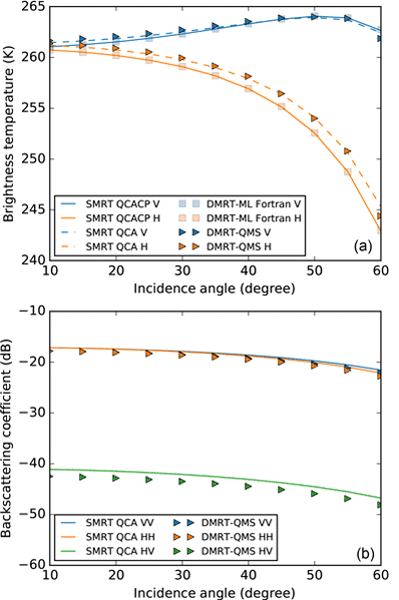 In this work we propose a benchmark protocol and dataset to asses the accuracy and computing runtime of radiance calculations of radiative transfer models. It is applied to four models, showing the potential of this benchmark to evaluate the model performance under a variety of atmospheric conditions, viewing geometries, aerosol loading, and optical properties. We present SEVER-FIRE (v1.0), incorporated into the SEVER DGVM. One of the major focuses of SEVER-FIRE is an implementation of the pyrogenic behavior of humans (timing of their activities and their willingness and necessity to ignite or suppress fire), related to socioeconomic and demographic conditions in a geographical domain of the model application. Unlike other DGVM- and ESM-based global fire models, we do not use any satellite-derived assumptions in equations of fire model development. Unstructured meshes are attractive for coastal ocean modeling, as they allow more accurate representation of complex coastal topography. Unstructured mesh models are, however, often perceived as slow and inaccurate. 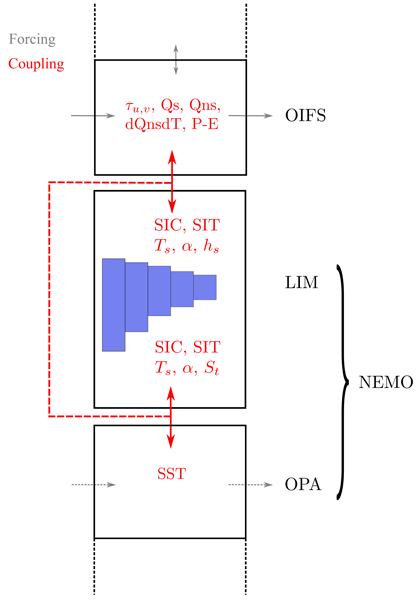 We present a novel discontinuous Galerkin ocean model: Thetis. We demonstrate that the model is able to simulate baroclinic ocean flows with high accuracy on a triangular prismatic mesh. This work paves the way for highly accurate and efficient three-dimensional coastal ocean models. 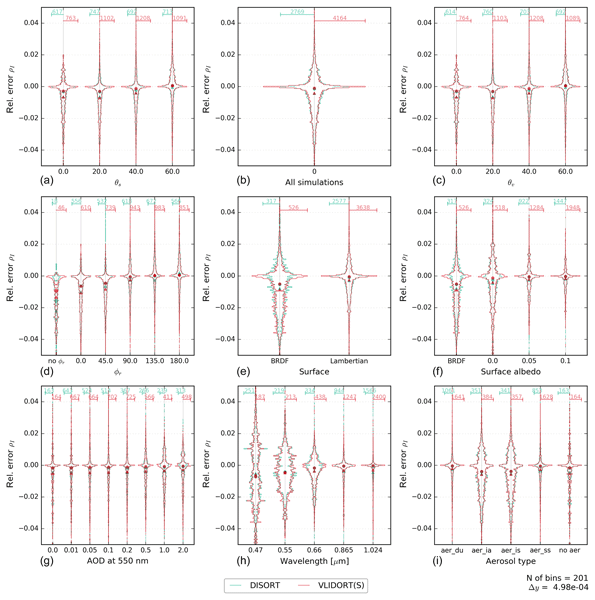 Firstly, this study acts as a compilation of key geodynamic diagnostics and describes how to automatise them for a more efficient scientific procedure. Secondly, it outlines today's key pitfalls of scientific visualisation and provides means to circumvent them with, for example, a novel set of fully scientific colour maps. 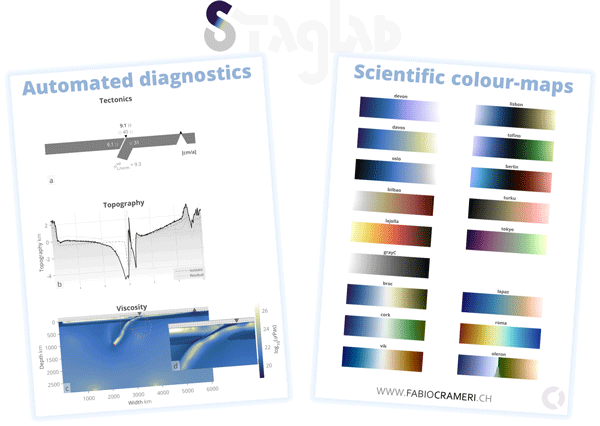 Thirdly, it introduces StagLab 3.0, a software that applies such fully automated diagnostics and state-of-the-art visualisation in the blink of an eye. To assess the effect of climate on vegetation, dynamic vegetation models simulate their response e.g. to climate change. Most currently used dynamic vegetation models ignore the fact that for colonization of a new area not only do the climatic conditions have to be suitable, but seeds also need to arrive at the site to allow the species to migrate there. In this paper we are developing a novel method which allows us to simulate migration within dynamic vegetation models even at large scale. Earthquakes are the result of brittle failure within the heterogeneous crust of the Earth. In this article, we present a computer code called stochasTic Rupture Earthquake MOdeL , TREMOL, developed to investigate the rupture process of asperities on the earthquake rupture surface. According to our results, TREMOL is able to simulated magnitudes of real earthquakes, showing that can be a powerful tool which can deliver promising new insights into earthquake rupture processes. The paper presents a robust tool to estimate the thermodynamic surface complexation parameter for the sorption of uranium(VI) onto quartz surfaces. The optimization package hydroPSO R is coupled with the geochemical speciation code PHREEQC. 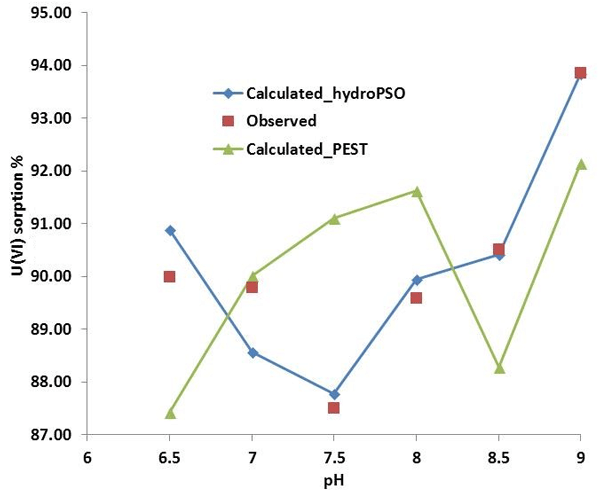 hydroPSO used the m parameter estimation tool for geochemical modeling with PHREEQC. Coupled hydroPSO with PHREEQC proved to be a robust tool to estimate surface complexation constants for uranium(VI) species on quartz. The GEOS-Chem model has been updated with the SAPRC-11 aromatics chemical mechanism to evaluate global and regional effects of aromatics on tropospheric oxidation capacity. Our results reveal relatively slight changes in ozone, hydroxyl radical, and nitrogen oxides on a global mean basis (1–4 %), although remarkable regional differences (5–20 %) exist near the source regions. Improved representation of aromatics is important to simulate the tropospheric oxidation. The Bureau of Meteorology Atmospheric high-resolution Regional Reanalysis for Australia (BARRA) is the first regional reanalysis for Australia, New Zealand and SE Asia. BARRA offers superior depictions of near surface meteorology at finer spatial scales when compared against a coarse-scale global reanalysis. It uses a consistent method of analysing the atmosphere with a higher resolution model over 1990 to 2017, and can provide greater understanding of past weather including extreme events. The profound importance of water has led to the development of increasingly complex hydrological models. However, implementing these models is usually time-consuming and requires specialized expertise, stymieing their widespread use to support science-driven decision-making. 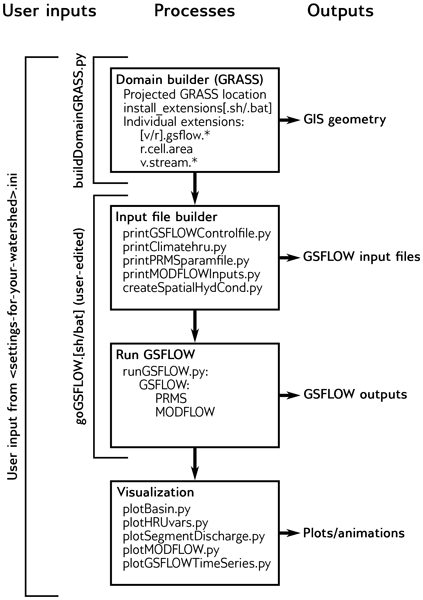 In response, we have developed GSFLOW–GRASS, a robust and comprehensive set of software tools that can be readily used to set up and execute GSFLOW, the U.S. Geological Survey's coupled groundwater–surface-water flow model. In this work the use of adaptive Cartesian meshes in atmospheric single-column models is explored. Results are presented for test scenarios based on the first two GEWEX ABL Study (GABLS) inter-comparison studies. Consistent with existing literature, we conclude that the method is promising and future atmospheric modelling efforts would warrant the extension of the present techniques to a three-dimensional grid. Accurate climate modeling of coupled earth systems require mapping of solution field data between dependent components that use non-matching discrete meshes. While existing workflows provide a pathway to generate the projection weights as an offline step, severe bottlenecks impede flexible setup of high resolution models. 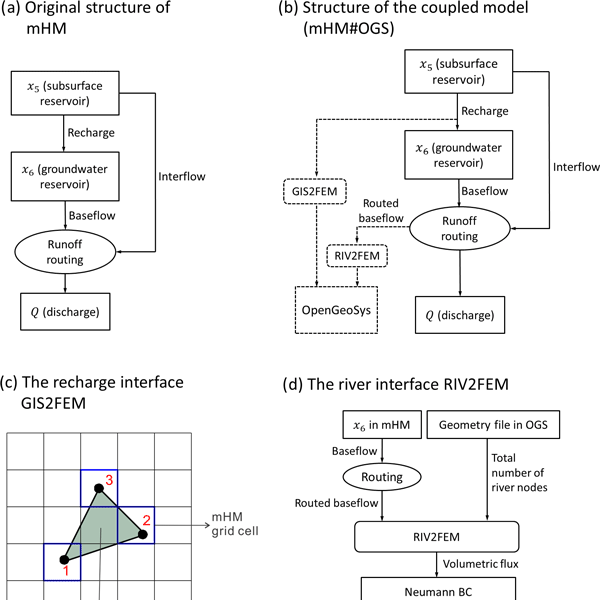 In this paper, we present new algorithmic approaches to simplify the E3SM computational workflow using a scalable software infrastructure to generate the remapping operators. Ice flow forced by gravity is governed by the full Stokes (FS) equations, which are computationally expensive to solve. Therefore, approximations to the FS equations are used, especially when modeling an ice sheet on long time spans. Here, we report a combination of an approximation with the FS equations that allows simulating the dynamics of ice sheets over long time spans without introducing artifacts caused by application of approximations in parts of the domain where they are not valid. Multiple datasets and an optimization process based on atmospheric modeling are used to develop an updated spatially explicit inventory of contemporary natural methane fluxes and advance the representation of interactive methane in the ModelE2-YIBs global chemistry–climate model. Simulations using interactive methane can provide an improved understanding of chemistry–climate interactions. Strong model–measurement agreement is found for both the distribution and lifetime of atmospheric methane. 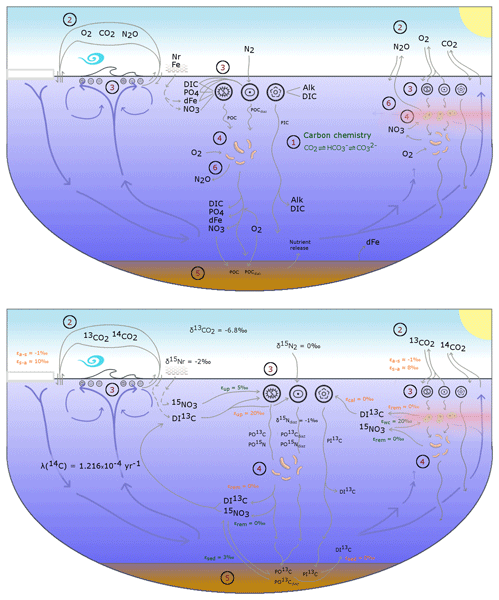 A novel configuration of an Earth system model includes a diverse plankton community. The model – EcoGEnIE – is sufficiently complex to reproduce a realistic, size-structured plankton community, while at the same time retaining the efficiency to run to a global steady state (~ 10k years). The increased capabilities of EcoGEnIE will allow future exploration of ecological communities on much longer timescales than have so far been examined in global ocean models and particularly for past climate. The evolution of smoke depends acutely on where the smoke is injected into the atmosphere. 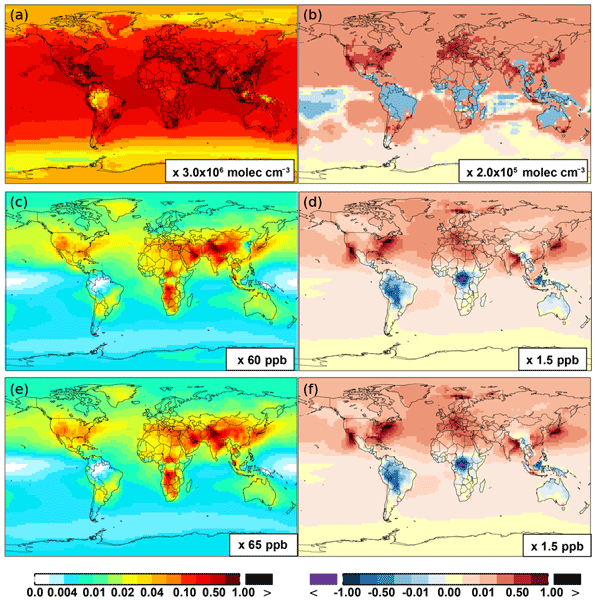 This paper presents the development and implementation of a new global biomass burning emissions injection scheme for GEOS-Chem. 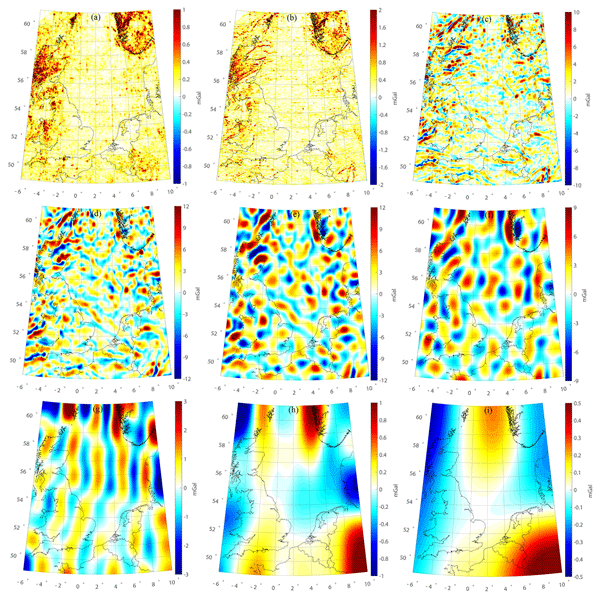 The new scheme is based on monthly gridded Multi-angle Imaging SpectroRadiometer (MISR) global plume-height stereoscopic observations in 2008. Peatlands are widely present in boreal regions and contain large carbon stocks due to their hydrologic properties and high water content. 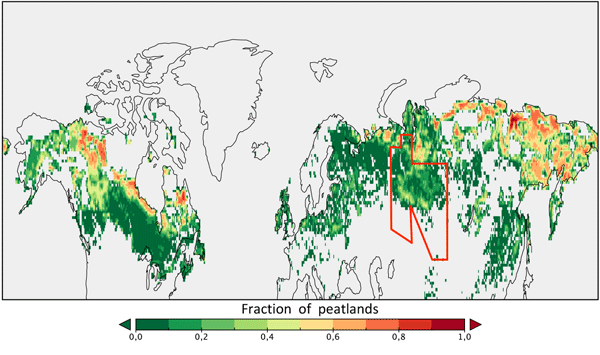 We have enhanced the global land surface model ORCHIDEE by introducing boreal peatlands. These are considered as a new type of vegetation in the model, with specific hydrological properties for peat soil. 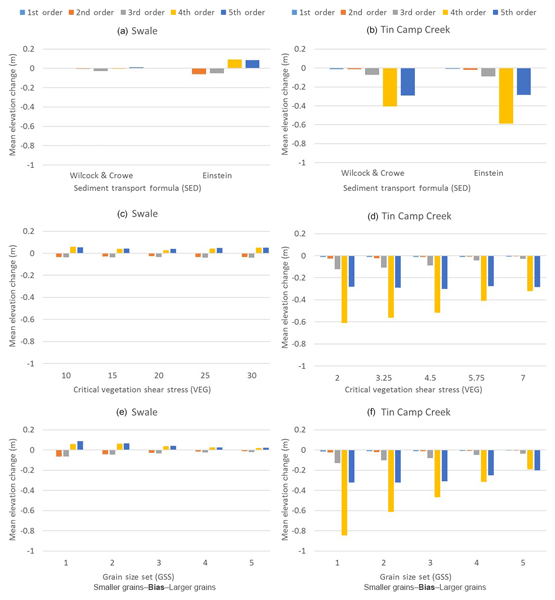 In this paper, we focus on the representation of the hydrology of northern peatlands and on the evaluation of the hydrological impact of this implementation. An integral and expensive part of coupled climate model simulations is the gas-phase chemistry which gives rise to hundreds of coupled differential equations. 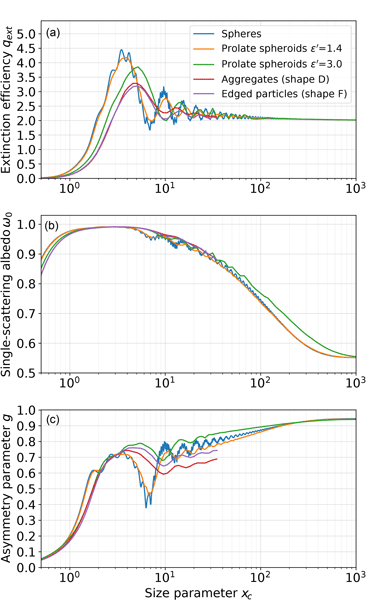 We propose a method which improves the convergence and robustness properties of commonly used Newton–Raphson solvers. The method is flexible and can be appended to most algorithms. The approach can be useful for a broader community of computational scientists whose interests lie in solving systems with intensive interactive chemistry. A software package has been developed to model optical properties of atmospheric aerosol ensembles based on a pre-calculated single particle data set. Spherical particles, spheroids, and a small set of irregular shapes are covered. A flexible and intuitive web interface is provided for online calculations of user-defined ensembles. The paper describes the package and outlines several applications, e.g., optical properties for aerosol size bins of an aerosol transport model. The Snow Microwave Radiative Transfer (SMRT) is a novel model developed to calculate how microwaves are scattered and emitted by snow. The model is built from separate, interconnecting modules to make it easy to compare different aspects of the theory. 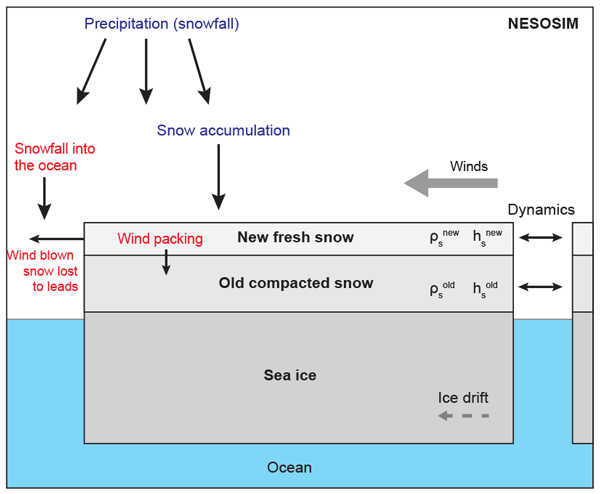 SMRT is the first model to allow a choice of how to represent the microstructure of the snow, which is extremely important, and has been used to unite multiple previous studies. This model will ultimately be used to observe snow from space. Predicting El Niño both in current condition and for the next century is a key societal need. Intraseasonal atmosphere variability (ITV) plays an important role in triggering of El Niño; the El Niño/ITV relationship may change in future climate. 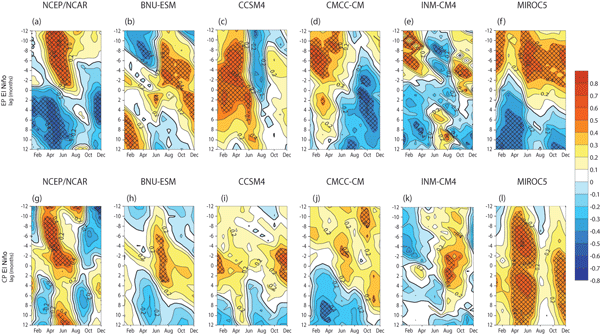 The purpose of this study is to select the models that are most skilful in simulation of the ITV/El Niño relationship and thus promising for investigation of the El Niño mechanism under global climate change. Five models of CMIP5 project were selected. An emissions inventory is a compilation of the mass of pollutants released by different sources. The quantification of vehicular emissions is difficult because these sources are in movement across streets. Also, emissions processes are multiple and complex. In this paper, we present an open-source software for calculating spatial vehicular emissions, including exhaust, evaporation and wear, named VEIN. The software is an R package available at https://github.com/atmoschem/vein. 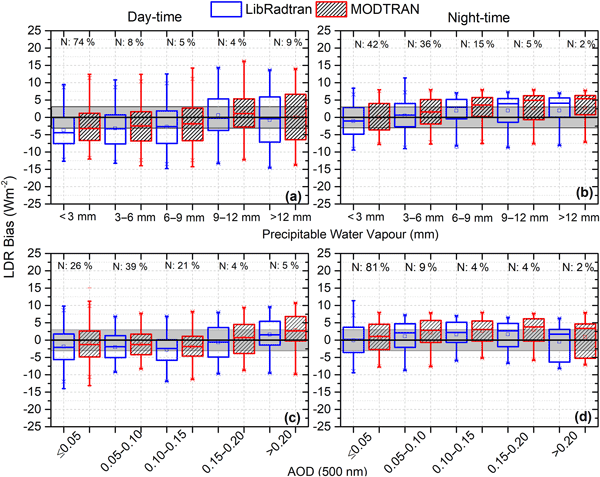 A 7-year comparison study between measured and simulated longwave downward radiation under cloud-free conditions has been performed at BSRN Izaña. Results show an excellent agreement with a mean bias (simulated–measured) less than 1.1 % and RMSE less than 1 %, which are within the instrumental error (2 %). 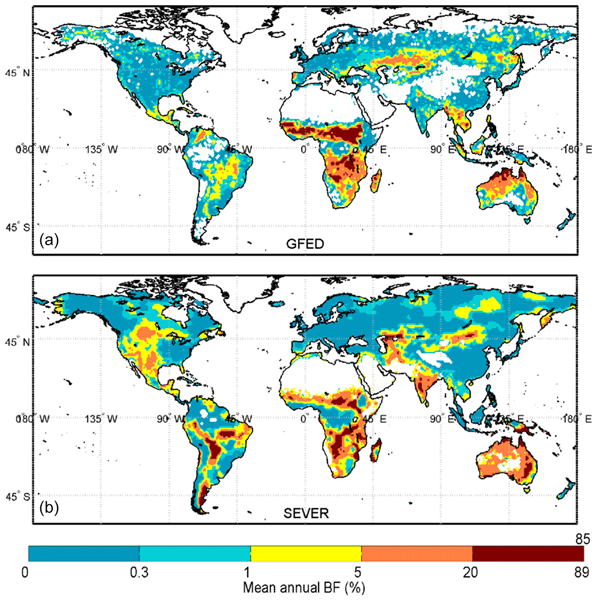 G3M is a new global gradient-based groundwater model that will replace the current bucket-like groundwater model in the established global hydrology model WGHM. The newly developed model framework enables an efficient coupling to WGHM while keeping overall runtime relatively low, allowing sensitivity analyses and data assimilation. This paper presents the G3M concept and specific model design decisions together with results under steady-state naturalized conditions compared to observations. We have discussed the discretizations of the three-dimensional nonhydrostatic linearized anelastic equations on the A, B, C, CD, (DC), D, E and Z horizontal grids, and on the L and CP vertical grids, with an emphasis on midlatitude inertia–gravity waves. The Z and C grids show the most accurate dispersion among the seven horizontal grids. The inertia–gravity mode solutions with the D and CD grids are almost identical. The A, B and E grids suffer from the multiple (or non-unique) physical modes. Oceanic sediment cores are commonly used to understand past climates. The composition of the sediments changes with the ocean above it. An understanding of oceanographic conditions that existed many thousands of years ago, in some cases many millions of years ago, can therefore be extracted from sediment cores. We simulate two chemical signatures (13C and 15N) of sediment cores in a model. This study assesses the model before it is applied to reinterpret the sedimentary record. A new framework was designed for the widely used Carbon Bond Mechanism Z (CBM-Z) gas-phase chemical kinetics kernel to adapt the single-instruction, multiple-data (SIMD) technology in next-generation processors like Knights Landing (KNL) to improve their calculation performance. The optimization is aimed at implementing the fine-grain level parallelization of CBM-Z. The test results showed significant acceleration with our optimization on both CPU and KNL platforms. Oceanic surface conditions coming from coupled ocean–atmosphere global climate models bear considerable biases over the historical climate. 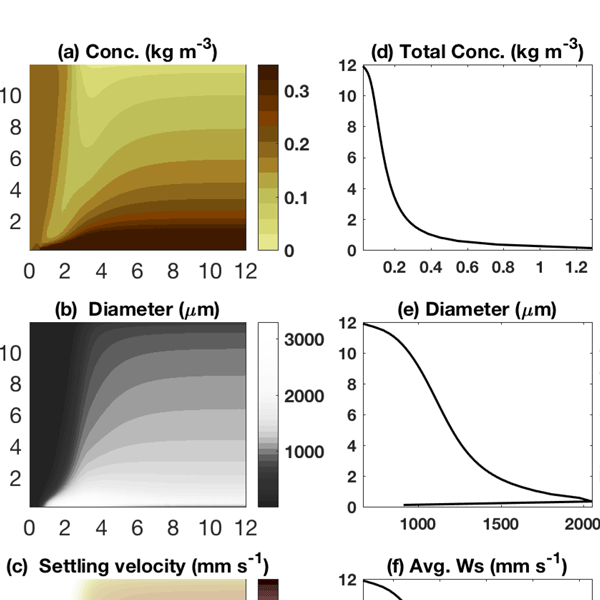 We review and present new methods for bias correcting sea surface temperatures and sea-ice concentration coming from such models in order to use them as boundary conditions for atmospheric-only GCMs. 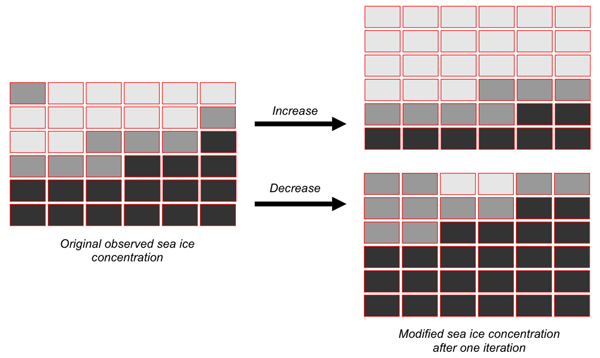 For sea ice, we propose a new analogue method which allows us to reproduce more physically consistent future bias-corrected sea-ice concentration maps. Wildfires are a concrete problem and impact on human life, property and the environment. An extremely dangerous phenomenon is so-called fire spotting , i.e., the generation of secondary ignitions responsible for dangerous flare-ups during wildfires. The aim of this research was to improve the tools used for risk management through the inclusion of fire spotting in operational wildfire simulators used by forest service agencies. We present ICON-ART-Iso, an extension to the global circulation model ICON, which allows for the simulation of the stable isotopologues of water. The main advantage over other isotope-enabled models is its flexible design with respect to the number of tracers simulated. We compare the results of several simulations to measurements of different scale. ICON-ART-Iso is able to reasonably reproduce the measurements. 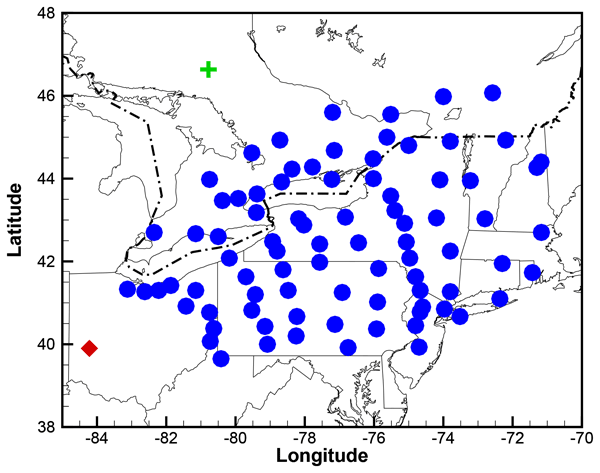 It is a promising tool to aid in the investigation of the atmospheric water cycle. While model predictions depend on release parameters, model uncertainties in inverse modeling should also vary with the source terms. In this paper, model uncertainties that will change with the source terms are introduced in a weak-constraint inverse modeling system. Tests using HYSPLIT model and CAPTEX observations show that adding such model uncertainty terms improves release rate estimates. A cost function normalization scheme introduced to avoid spurious solutions proves to be effective. Landscape evolution models are computer models used to understand how the Earth’s surface changes over time. Although designed to look at broad changes over very long time periods, they could potentially be used to predict smaller changes over shorter periods. However, to do this we need to better understand how the models respond to changes in their set-up – i.e. their behaviour. This work presents a method which can be applied to these models in order to better understand their behaviour. A multilayer approach is parameterized for model development, and the multiple layers are located at different depths beneath the Earth’s surface. This method may be beneficial for gravity/manget field modeling, which may outperform the traditional single-layer approach. Newtonian relaxation allowing RCM (regional climate model) to follow GCM (global climate model) is a widely-used technique for climate downscaling and regional weather forecasting. It is thoroughly assessed in an idealized framework for both synoptic variability and long-term mean climate. LMDz is a GCM, but it can be configured as a RCM. It thus acts as both GCM and RCM. The experimental set-up “Master versus Slave” considers GCM as the reference to assess behaviors of RCM. 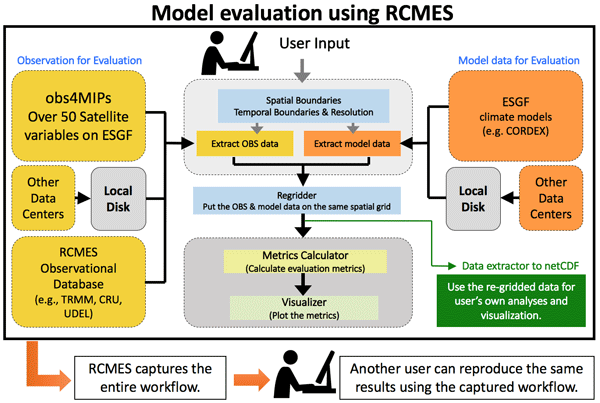 The Regional Climate Model Evaluation System (RCMES) is designed to facilitate access to observational data and systematic evaluations of regional climate model simulations participating in the Coordinated Regional Climate Downscaling Experiment (CORDEX). To ensure software sustainability, development of RCMES is an open, publicly accessible process enabled by leveraging the Apache Software Foundation's open-source library, Open Climate Workbench (OCW). The development of atmospheric and oceanic models in spherical coordinates requires a quantitative assessment of the accuracy of the models’ simulations. A tool for such quantitative assessment is proposed based on analytic wave solutions of the linearized governing equations. New error measures are employed which are more relevant then formerly employed error measures for the single-mode simulations used in the proposed test case. Codes are supplied for calculating the required initial fields. Single-column models have been used to develop weather and climate models for several decades. They decouple small-scale processes from large-scale forcing and allow us to test models in a controlled environment with reduced computational cost. Here, we present a fully coupled atmosphere–ocean single-column model, including sea ice. We demonstrate that it is a valuable tool to advance our understanding in marine and polar boundary layer processes and interactions of their coupled components.